I have never really thrown any of my old pictures away. The ones that do get lost are usually the valuable ones that are valuable, only, in that the subject of the picture is not around or dead. Kathleen is alive and well. The last time I located her she was working as a most efficient accountant for Sam Feldman and Associates on Granville Island. When I photographed her many years ago in my Burnaby basement garage studio I was fascinated by red hair. I am still fascinated by the complexity of rendering a realistic skin colour which eludes most film cameras when faced with redheads. At the time I thought I could colour print from colour negatives. I wasn't too bad except with red heads. To make it worse I decided I was going to photograph Kathleen with a "blue" rose. I left the white rose soaking in Parker Pen royal blue ink for a day. This is as blue as it ever got. But I am happy with the look of the b+w portait. 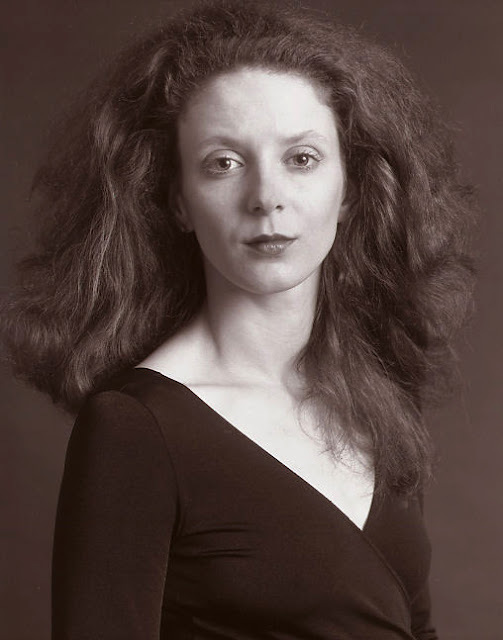 Kathleen had and has a face that could launch ships.